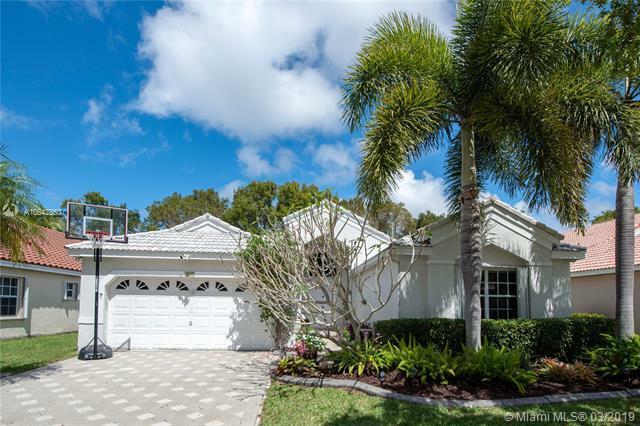 Welcome to this private tropical oasis in the guard gated community of The Falls in Weston. Relaxing is easy in the large chromotherapy jetted hot tub surrounded by Key Lime, Plumeria, and Coconut trees! 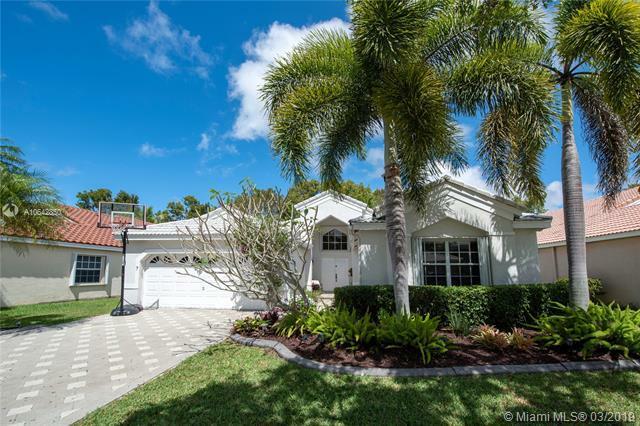 Spacious one story 4 bed / 2.5 bath home with ceramic flooring, large master walk-in closet, storm accordion shutters, new A/C, and new hot water heater. 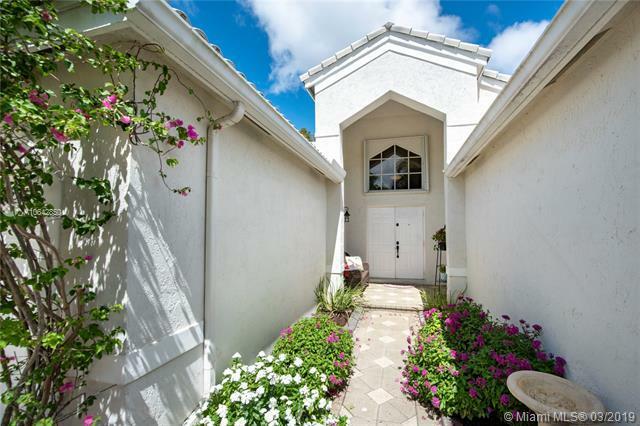 Low HOA fees with excellent community amenities including pool, basketball court, volleyball court, and playground. Close to shopping and highways. In the boundaries of Westons desirable "A rated public schools.